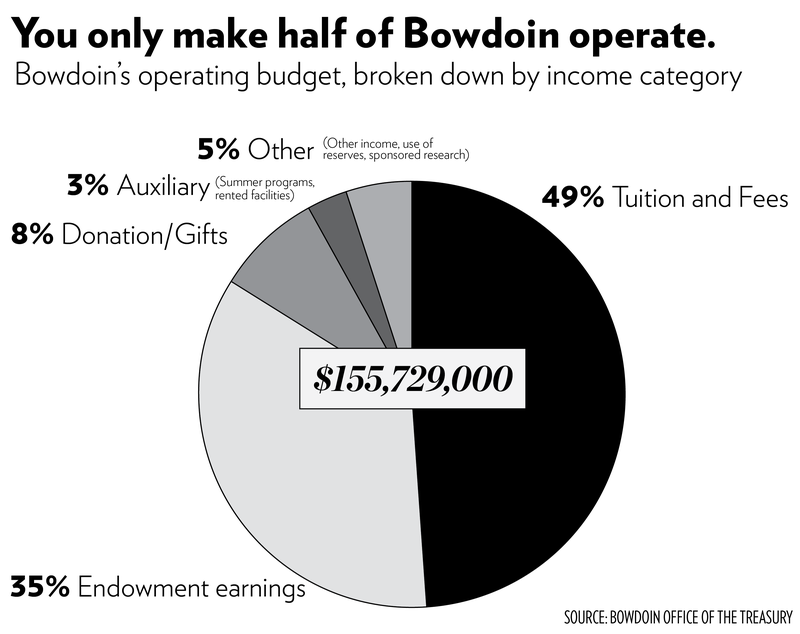 In the past two years, between 28 and 38 percent of Bowdoin’s annual donors have been represented at One Day. The campaign is centered around participation rate rather than donation values. This year, with a goal of 8,400 donors, the One Day campaign aims to put the College 200 donors ahead of last year’s numbers at this time, according to Director of the Alumni Fund Aric Walton. One Day donors and other donors are solicited through the Office of Development and Alumni Relations. The office works throughout the year to maintain relationships with alumni, parents and other past donors in order to raise money for the College’s operating budget, capital budget and endowment. 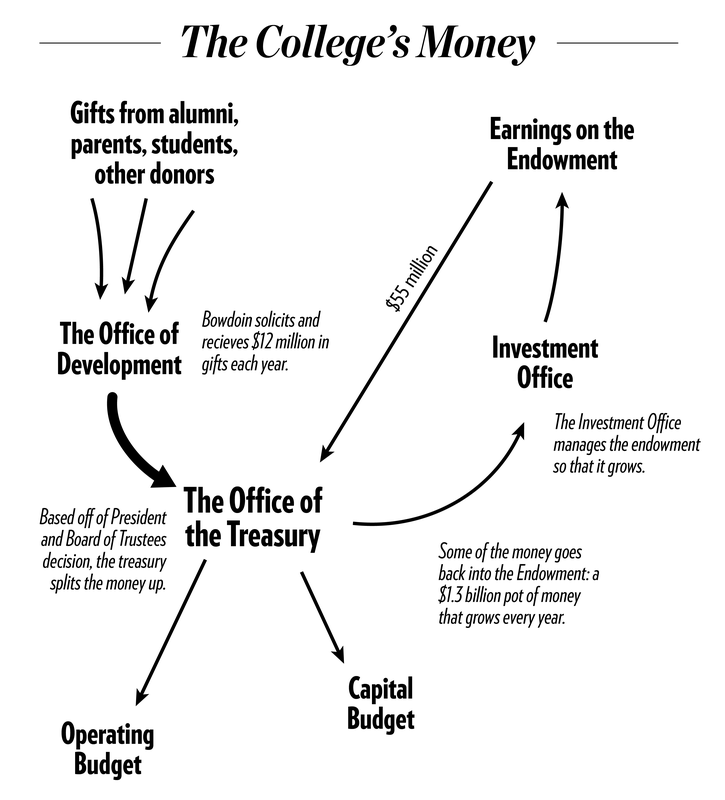 When the College receives a donation, it first goes through the Office of Development. A donation can be unrestricted or restricted. An unrestricted donation can be allocated to any of the “highest needs” on campus, Meiklejohn said. “Our job, when the College identifies those things as priorities, is to advise the president and the Board about our capacity to raise the money … to understand our capacity to fund ambitions of the College,” Meiklejohn said. When a donation is made for a specific project, such as the Roux Center or the renovations for the Magee-Samuelson Track and Whittier Field facility, that money only goes to that specific project because it is “one-time.” These projects and the financial aid fund fall under the capital budget. Financial aid, in this case, is an “ongoing capital priority that’s building a bank account” as opposed to the financial aid in the operational budget which is a set yearly amount, Meiklejohn said. For such projects, the College usually makes plans in advance and then solicits alumni for donations. For instance, the plans for Whittier Field began in the summer of 2016. However, when a donation is made that would go to an operating budget fund—for example, yearly financial aid, the academic program, arts and culture or athletics—it may be directed elsewhere according to the priorities of the College. This process usually involves a conversation with the donor about where their money is most needed. 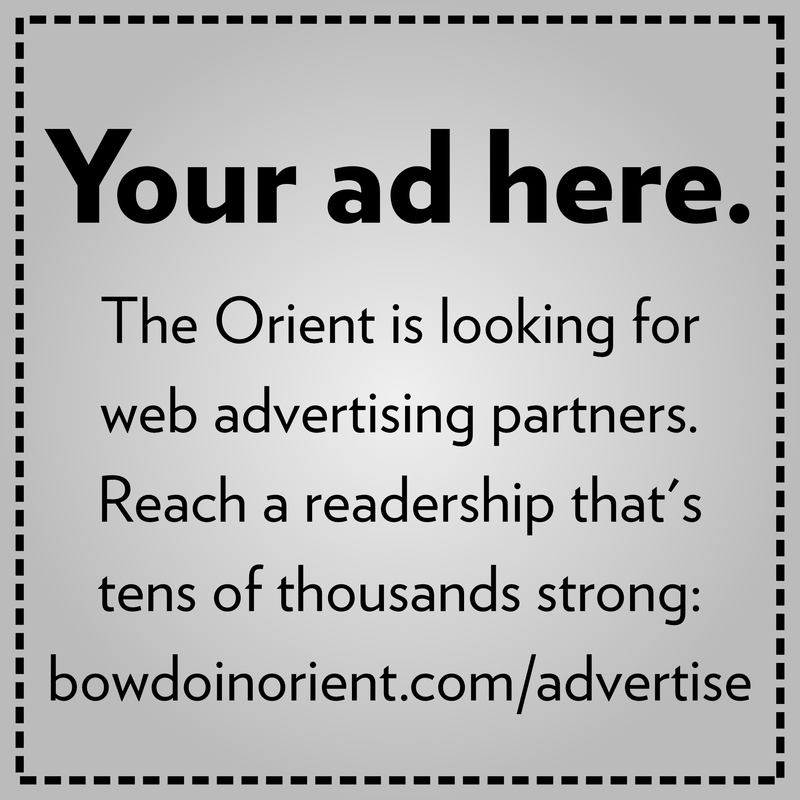 “Every once and awhile someone will ask, ‘can we make a gift for this?’ And most of the time donors understand—donors want to make Bowdoin better and are great about working with us on things that are most important to us,” he added. Donations ultimately find their way to the Office of the Treasury, headed by Senior Vice President for Finance and Administration Matt Orlando. His office then decides how to direct the money. While the president and the Board of Trustees ultimately decide how to prioritize spending, the Office of the Treasury “deploys the resources that come from tuition, endowment, gifts and other sources,” according to Meiklejohn. Meanwhile, the Investment Office works to maintain, grow and protect the endowment, from which about $55 million are drawn yearly to support the operating budget. The operating budget, at an annual $155,729,000, represents the total cost of running the College each year. This budget accounts for paying everything from faculty and staff, to lighting residence halls, to providing financial aid for students. 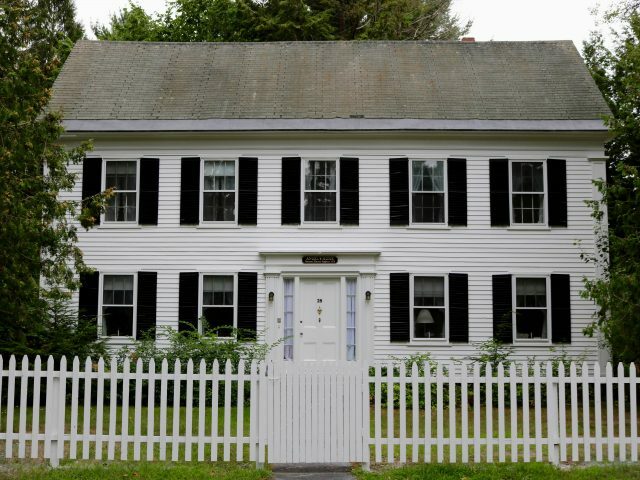 This year, the College is spending $86,516 on each student. Tuition, however, is $63,440 including room, board and other fees. This means about $23,000 are unaccounted for, which is where the endowment, gifts and other fees come into play. Tuition and fees account for 49 percent of the College’s operating budget. Earnings on the endowment, which was $1.34 billion in 2016, cover 35 percent of the budget. Donations from alumni, parents, students and friends of the College pay for eight percent. Auxiliary fees, which come from summer programs and renting out campus facilities, pay for three percent. Other fees—use of reserves, sponsored research—make up the remaining five percent of the operating budget.